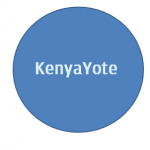 Kenyayote accepts sponsored blog posts but there are some requirements which you have to meet before your article is published. Read the requirements below before paying. The post you are sharing must be unique. Should not be appearing on any site. The post must be atleast 300 words long. The post can only include two links (do-follow) to your site. You must pay before the article goes live (You can request a refund within 48 hours if you are not satisfied with our service). The post must be on the following topics, education, business, travel, blogging, lifestyle, Art, Beauty, Fashion, Technology marketing or finance. You company and email names will be used as a byline (author) details unless you provide a different name to be used. If you don’t want your names to be used as your byline let us know so that we can use “Guest” as Byline. If your post meets the following requirements and you agree with them, go ahead and pay then follow the instructions below to get your article published. You will be notified once your article is published. The sponsored post might be edited. The edits include formatting the title, images and grammar. The article will not appear on the front page of the website. If you decide to pay via PayPal the currency will be converted to dollars automatically and you will be able to see the total before paying.